Running an agency can be overwhelming. You’re constantly trying to balance client work with business development, and it can feel like an uphill battle, especially when you’re trying to scale. Clients are beginning to expect more and more from their agencies, and there’s a growing expectation for agencies to be full-service. Resourcing is another major concern. There’s a constant toss-up between hiring to be prepared for new clients and being hesitant to commit to more employees before new clients sign on the dotted line. Regardless of your industry, contracting freelancers is a great way to provide your clients a more robust service, while increasing your agency’s efficiency and putting time back in your pocket to focus on growing your business. 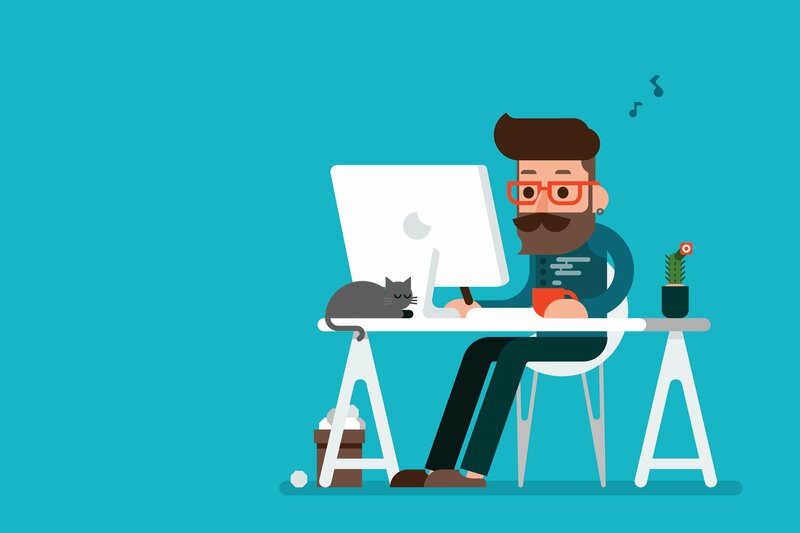 So, why work with freelancers? If you’re trying to grow your business – and who isn’t – outsourcing can help you scale your output and grow your agency faster. This means you can take on more clients and projects without overworking your in-house team. A client asks you to turn around a 200-page catalogue for ‘yesterday’? No problem! Plus, outsourcing allows you to get services to your clients faster. Working with freelancers means projects are finished on time, because you have someone dedicated to the task, who won’t get sidetracked with other client work. In-house employees are great for a workload that’s consistent and predictable from month to month. But as every agency knows—there is always that unpredictable, and many times welcomed, extra job. Rather than over-working your already strapped team or hiring against an unpredictable need, outsourcing projects to freelancers only when you need it takes the stress of workflow management off your plate and consolidates costs. You run an agency. What you excel at is finding the right solution to your clients’ problems and deeply understanding their brands. Services like design and copywriting are some that your clients may turn to you for, despite them not being your specialty. Outsourcing these services will allow you to focus on the bigger picture and ensure you are meeting and exceeding your client’s expectations. Moreover, many times you realise that your brilliant in-house team is drowning in production work that doesn’t add conceptual value to your clients. For example, having copywriters writing hundreds of paid search ads. Besides optimising your margins, by outsourcing production work you will be making the work for your in-house team much more exciting and creative. Seeking quotes and samples from freelancers means you can present different concepts to your clients, rather than one to two options from a single freelancer. To avoid scrambling to hire a freelancer at the last minute for each project and to ensure some consistency across all offerings, it helps to have a vetted pool of freelancers on-hand to help with projects as needed. First, identify the areas your in-house creative team excels in. Then, consider areas where there’s room to grow. Maybe your agency specialises in web marketing, but your clients always ask you about web copy. Instead of referring these clients to someone else, you can meet needs like this “in-house” by utilising freelance copywriters. Supplement your in-house team as needed. Delegate your high-level tasks including account management, brand guidance, and strategy, to your in-house team whenever possible. This way you can ensure rigour and consistency in message. When high-priority, complex projects come up, these are also good choices to keep internal – or to delegate to trusted, repeat freelancers. Projects that demand a high level of creativity, a plethora of ideas, or have flexible deliverables are ideal for outsourcing to freelancers. Projects which you can supervise in-house without much effort are perfect for your freelance team. Think marketing materials, blog posts, infographics, social media graphics, and outreach collateral. Make sure you carefully vet freelancers. This should be obvious, but know your freelancers as well as you can before hiring them. The best fit is going to do the best work for your project, so it’s important to tease this out. Depending on the time available, you could even test the shortlisted freelancers with a small scale project to gauge their skills, response time and overall professionalism. Finally, never start a project without agreeing to payment terms. Discuss this the first time you talk with a freelancer; this way you both know if the match is even possible. The payment terms not only include the total price you’re paying but how you’re paying it. It’s always useful to have an exit strategy if things are not going well. Once you’ve agreed on the terms, make sure you put it into writing – and include the price, the milestones and the scope. Dan Strougo is business director of agencies at 99designs. Dear Mumbrella – In the interest of transparency, which by the way your writers and editors don’t have a problem banging onto us about every other week, I think it’s time you introduced a Paid Content tag for the ever increasing shameless self-promotion articles that scream commercial content under an OPINION guise. If you’re not banking coin for these then you must be REALLY hard up for content. @Stu(2) This article is obviously leveled at the beginner, rather than the industry experts who are very savvy with freelancing and have been doing it for decades with some of the world’s best talent, but perhaps there are plenty of start up SME’s that would find this of value? The freelancer model is the back bone of our industry, and we’ve all been doing it for decades to scale up and down and to get the right people for the right job. The new news here could be to empower brands how to do more themselves, and for them to learn how to do it like the agencies have for decades. The tricky part for brands is if they hire freelancers and don’t know how to keep the whole thing on track, it becomes a nightmare for all parties. An art buyer or producer in the middle keeping it all together really makes a difference, and that person must be working for the brand or agency with objectivity. I’ve used resources like @99Designs (that I consider a low cost crowd sourcing option) and there are great ways to use a service like this, but there is also caution to be had too. The strategy is often missed when we stick to task-specific activity, we access the lower end of the talent pool, communicate only via an online service which has flaws for creative nuances, and when we don’t have custodians of the brand driving the business solutions are not integrated fully. There are horses for courses… this is useful information for the start ups I expect. Using freelancers and using more of them than ever is how we can solve many industry issues, as well as overcome diversity issues inherent in the current agency model. For the big brands there are insights even more powerful in how they can use freelancers to best effect. I am not sure how this is news. Most agencies have loads of freelancers and all industries have used temps since at least the 80’s. 99 designs ads should appear in the paid content section of the site or have some obvious disclaimers.I run a digital agency – let me know if you would like an article on why you should use us!! Wow, surprise, surprise…a freelancer agency advocating that agencies hire fleelancers! This true. I mean why not? I’ve used several freelance platforms – Upwork, Fiverr, Giggrabbers, and 99Designs and have been able to focus on bigger projects.